With respect to training, with only a buy of one squadron’s worth, 18 aircraft, all must be combat ready jets with no room for trainers. The RCAF will most likely contract all training to include monthly simulator requirements to the US Navy at Miramar, California. The current simulators for the CF188 will not be compatible (e.g., cockpit layout, fire control weapon systems, etc.). 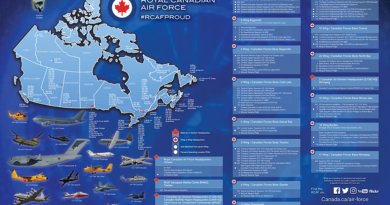 The initial cadre of aircrew and ground crew technicians will most likely come from the best people at the RCAF’s operational training unit at Cold Lake, Alberta. The best role for the Super Hornets with such a small number in the squadron would be assignment to NORAD duties, dedicated to air defence. This is with one main operating base in southern Canada and up to six forward operating bases in the north. With 18 airframes, 12 should be “on line” available to fly (scrambled alert aircraft normally operate in pairs). This would adequately meet our NORAD alert commitments. Also, the aircrews need only be trained in the air defence role as were our old CF0101 Voodoo interceptor aircraft squadrons. The legacy CF188 could concentrate on other fighter requirements. Basing is another matter to be decided. The new squadron need not be tied to Cold Lake due to the training situation. 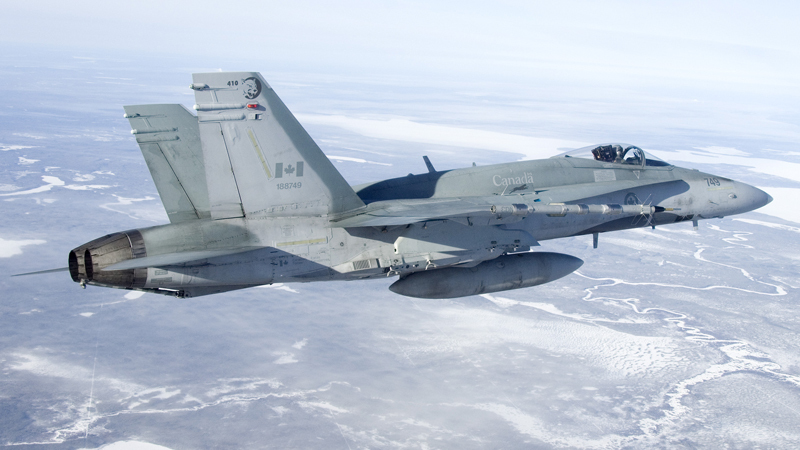 Either Cold Lake, Bagotville in Quebec or North Bay in Ontario could be used due to this “stand alone” unit not requiring central base maintenance as exists for the legacy Hornets. First and second line maintenance would be conducted at the home base but it would be smart to contract out third line to the US Navy (the maintenance equipment alone would cost Canada a fortune). 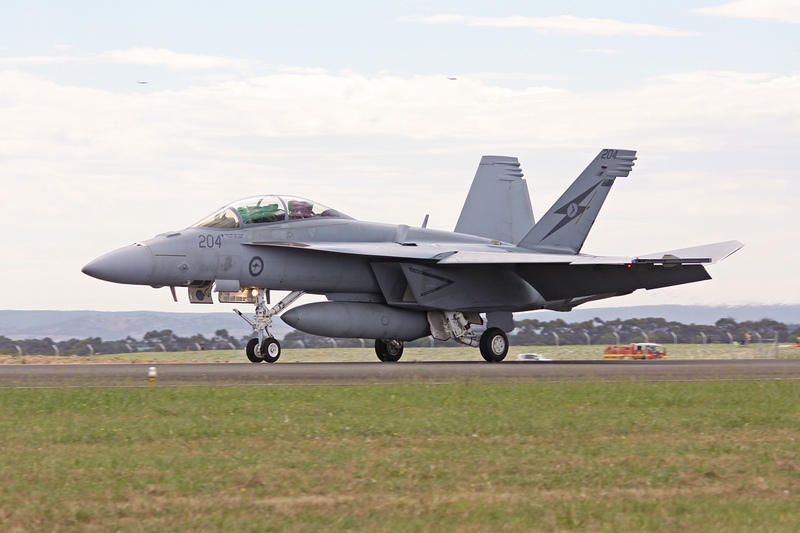 It is not envisioned that the Super Hornets would be used in the expeditionary role in NATO due to the consequent multi-role weapons and training costs. 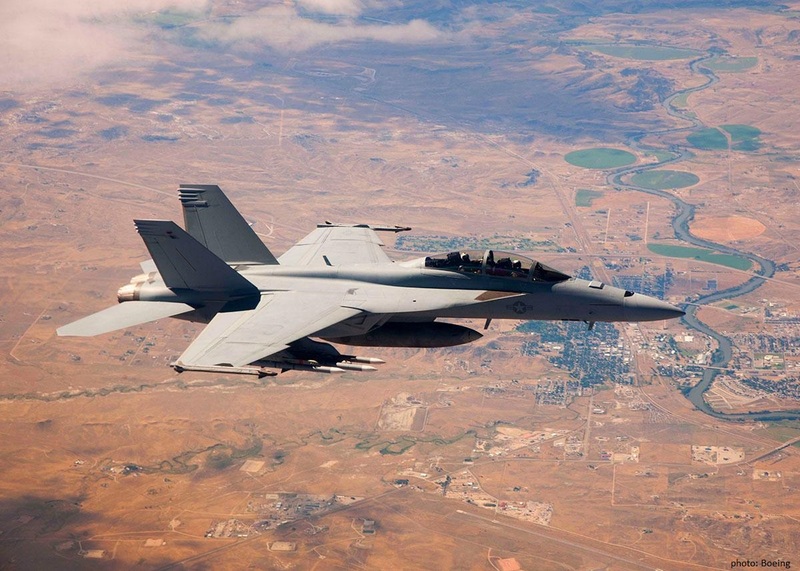 Moving units around the globe is a huge logistics effort and would be foolhardy – challenges include air refuelling, maintenance shelters and parts due to the fact that other NATO units do not fly the Super Hornet, so Canada could not “piggy back” on host nation support. The above is only a peacetime posture. With the declaration of defence condition (DEFCON) 2 or DEFCON 1, the concept goes out the window with respect to the employment of the overall fighter fleet.